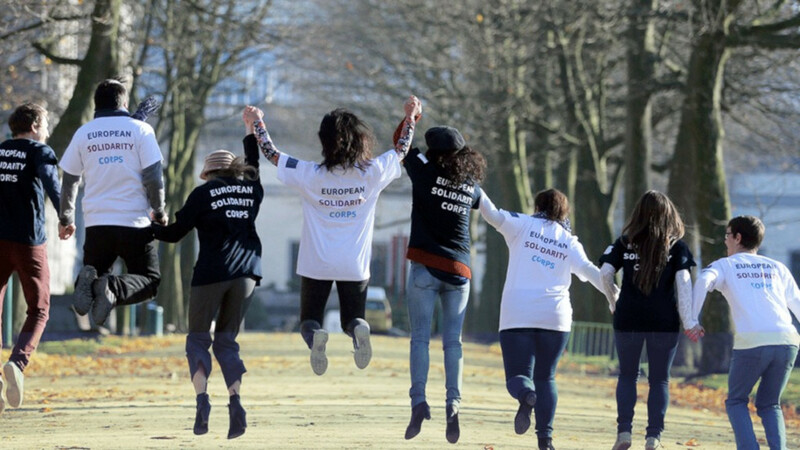 The European Solidarity Corps (ESC) aims to foster solidarity in European society, engaging young people and organisations in accessible and high-quality solidarity activities. It offers young people opportunities to show solidarity and help resolve challenging situations across Europe through volunteering activities, traineeships or jobs as well as solidarity projects based on young people's own initiative. ESC helps young people from Europe and programme countries to develop their sense of solidarity by participating, either individually or in group, in non-profit, unpaid voluntary activities. The new ESC programme is financed by the European Union. Most of the actions are coordinated by the National Agencies in EU, with three deadlines for submission per year. For more information, please consult https://europa.eu/youth/solidarity/. ESC positions in EUSA are open to individuals between 17 and 30 only during the announced calls, as a long-term placement, usually for a period of one year (12 months); we usually host two international volunteers at the same time. Please note that the recruitment period is officially announced and realised only once per year (usually in the beginning of the year). There are currently NO OPEN OPPORTUNITIES announced in EUSA! In the last call (deadline February 21, 2019), there were opportunities for new project with service between September 1, 2019 and August 31, 2020 (any candidate from Europe could apply); and for an ongoing project with service between February 1, 2019 and August 31, 2019 (only candidates from Ireland could apply). 2) to send their CV and letter of motivation by email. Due to high interest, only complete applications could be taken into account in the selection process (with Questionnaire submitted and Letter of Motivation and CV sent by email). Top candidates will be invited for a Skype meeting before final selection will be done. ESC opportunities with EUSA are possible because of the suppport from the European Union and Movit, the National Agency in Slovenia.